The committee has recommended that the first four subsections of LCvR83.2 and LCrR44.1 be reordered to put them in "chronological" order. The committee has recommended that the information currently in subsection (c) Procedures for Admission that explains how applications are forwarded to the committee for review, be moved to subsection (d) Committee on Admissions and Grievances and be modified to reflect the new procedure where only those applications with a reference to bar discipline or criminal record are forwarded to the committee. It is recommended that subsection (e) Reciprocity be eliminated. 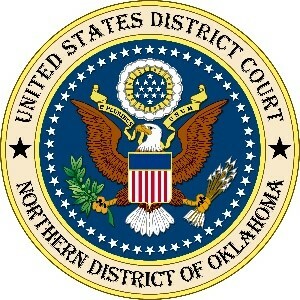 Because all applications are processed without referral to the committee unless there is cause, there is no need to have the rule allowing attorneys already admitted to the Eastern or Western District of Oklahoma to bypass the committee process. The committee has recommended that subsection (a) be amended to reflect possible disciplinary action for failure to report adverse information during the admission process. The committee has recommended in subsection (b) Courtroom Behavior that one additional numbered paragraph be added requiring that lawyers appearing before the Court follow all individual court room rules. The comment period will end on August 31, 2018, at 5:00 p.m.
Click here to view the proposed new rule. Click here to view a redline copy.